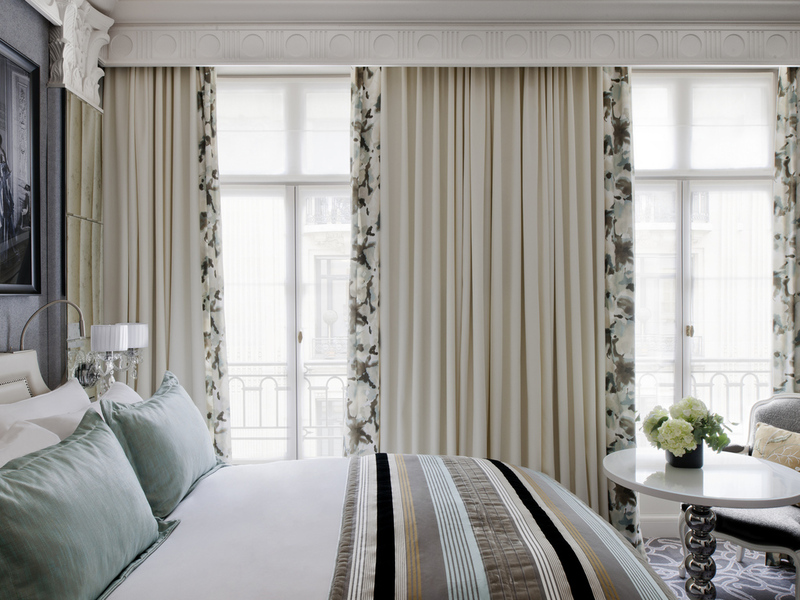 Welcome to the heart of Paris and the chic rue du Faubourg St-Honoré. A stone's throw from the Champs-Elysées and the most famous museums and monuments, discover the city's lifestyle and trends in an exceptional setting dedicated to elegance and fashion Life is Magnifique in Paris.. Discuss your recent discoveries over a delicious snack in the restaurant or bar. The patterns, materials and elegant design create a luxurious, unique and bold ambiance. 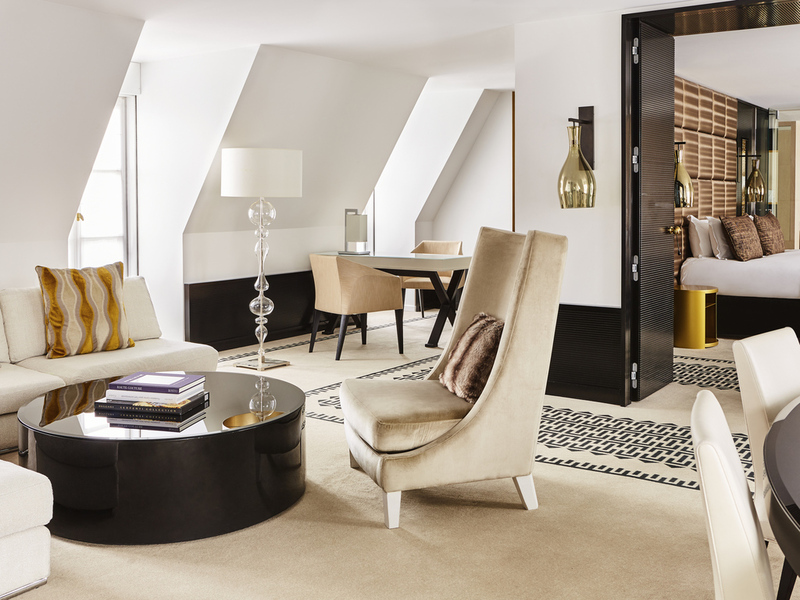 The elegance and modernity of the suites evoke the apartments of the Rue du Faubourg Saint-Honoré. 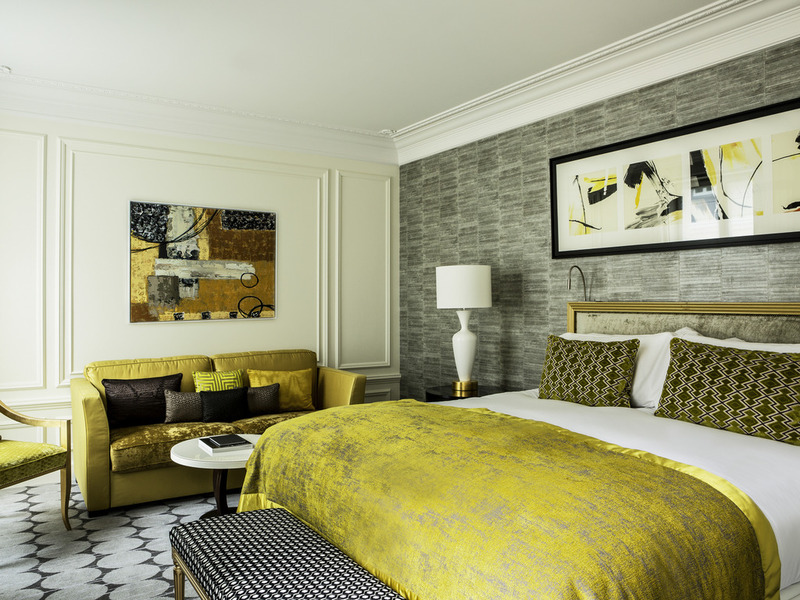 This luxury hotel in the 8th arrondissement in central Paris offers 5-star comfort and the peace and quiet of a semi-pedestrian street. It is in a perfect location for exploring exhibitions at the Musée d'Orsay, Grand Palais and Petit Palais. You can also enjoy family trips to Disneyland Paris by taking public transport from the hotel. 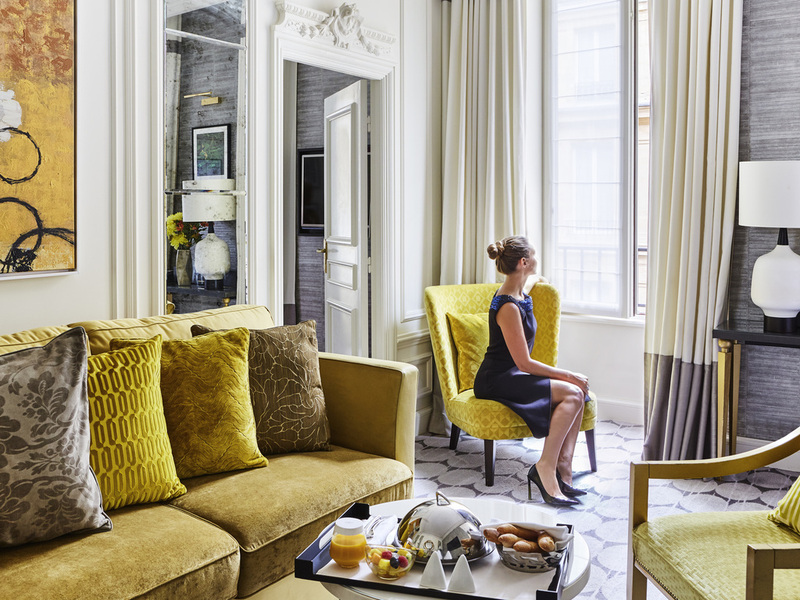 Enjoy an exceptional stay in the heart of Paris. 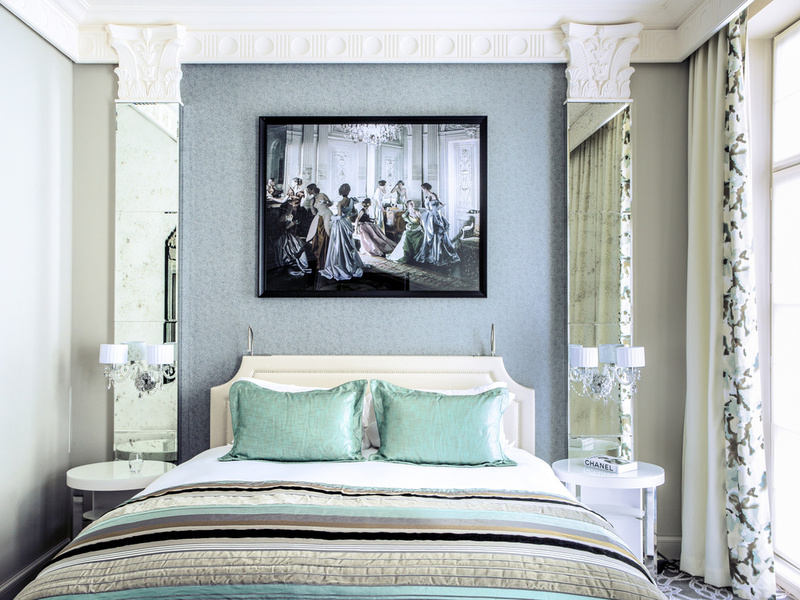 The 37 suites designed by Didier Gomez offer the elegance of haute couture, the unique charm of a mansion house or the prestige of an apartment with a view over Parisian rooftops. 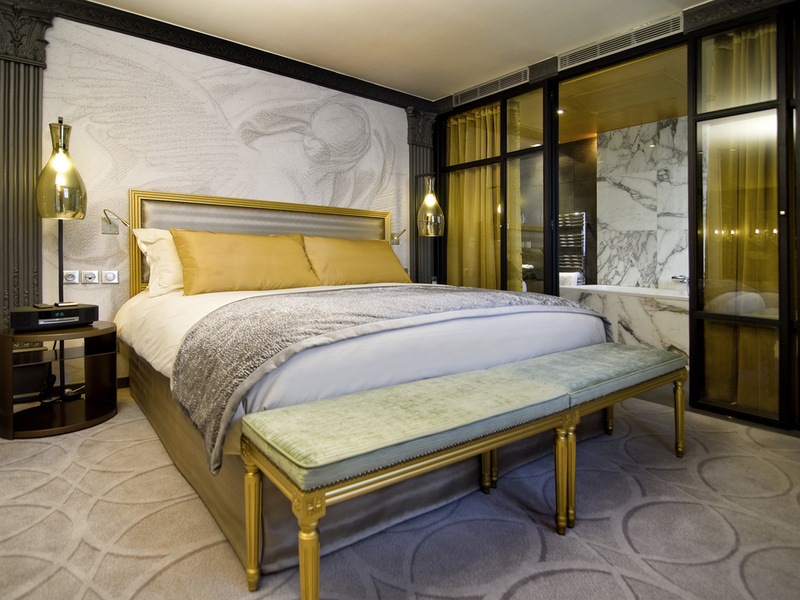 20 SQM / 215 SQFT, Sofitel MyBed double size bed, Tea and coffee making facilities with kettle and espresso machine, LED TV, Safe, Complimentary WiFi, Bathroom with Hermès bath amenities, Round-the-clock room service. 25 SQM / 269 SQFT, Sofitel MyBed double bed, LED TV, Tea/coffee making facilities with kettle and espresso machine, Safe, Complimentary WiFi, Bathroom with Hermès bath amenities, Round-the-clock room service, King bed available upon request. New Design! Measuring around 269 sq. ft. (25 m²), Sofitel MyBed twin beds, LED TV, tea and coffee making facilities with kettle and espresso machine and a safe. Free WIFI. Bathroom with Hermès products. Round-the-clock room service. 30 SQM / 323 SQFT, Sofitel MyBed and Double sofa bed, Tea and coffee making facilities with kettle and espresso machine, Safe, Complimentary WiFi, Hermès baht amenities, Round-the-clock room service. 35 SQM / 377 SQFT, Elegant lounge area, Large walk-in closet, Sofitel MyBed double size bed, Sofa bed, Separate shower, Hermès Bath amenities, Tea and coffee making facilities with kettle and espresso machine, Complimentary Wifi. Homage to fashion. Around 431 sq. ft. (40 m²). Separate lounge, exclusive Sofitel MyBed comfort. Bathroom, separate shower, Hermès toiletries. Tea and coffee making facilities with kettle and espresso machine, Bose system with iPod dock. Free WIFI. Around 538 sq. ft. Homage to fashion. Elegant separate lounge. Sofitel MyBed bed. Walk-in closet, bathroom with hammam shower and Hermès toiletries. Tea and coffee making facilities with kettle and espresso machine, Bose system with iPod dock. Free WIFI. 44 SQM / 484 SQFT, Apartment-style separate lounge, Complimentary WiFi, Sofitel MyBed double size bed, Walk-in closet, Separate shower, Hermès Bath amenities, Tea and coffee making facilities with kettle and espresso machine, Safe. Couture spirit. 2-bedroom suite with 2 double size beds and 2 bathrooms. Very elegant separate lounge with garden views. Walk-in closet. Around 710 sq. ft. Hermès toiletries. Tea and coffee making facilities with kettle/espresso machine. Safe. Free WIFI. A glass of champagne in the fashionable setting of the Bar du Faubourg, a chic, romantic dinner in the restaurant, lunch under the palm trees or a cocktail on the terrace to see and be seen... A rendez-vous with the capital's latest trends! Enjoy a relaxing moment in the calm of the garden or the terrace on Rue Boissy d'Anglas. Celebrate fashion, creativity and Parisian spirit in the world of couture at the Bar du Faubourg. Equipped with the latest technology, our two new modular rooms accommodate up to 50 people for meetings, conferences or showrooms. Honeyed woodwork, gray leather, designer features, artwork by Anish Kapoor. 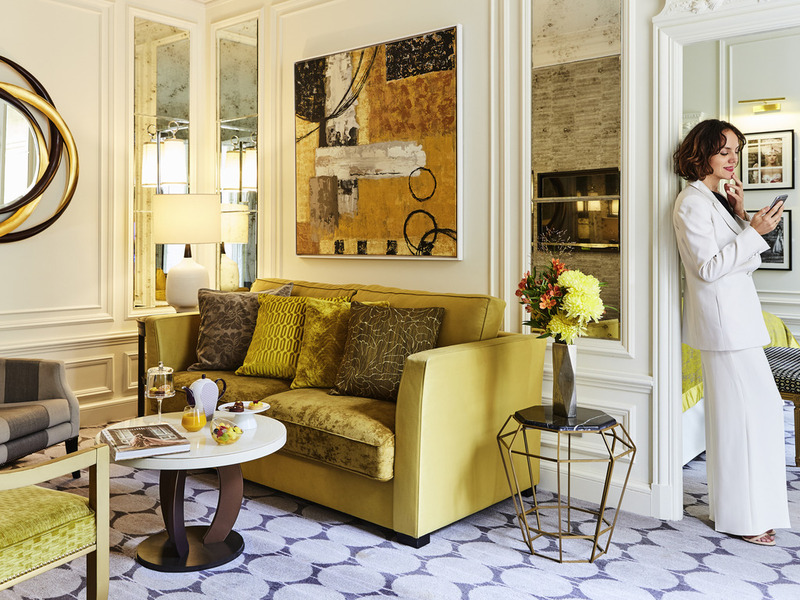 A subtle harmony runs through a rich combination of materials, while the hotel's dominant chromium yellow brightens up your meetings. 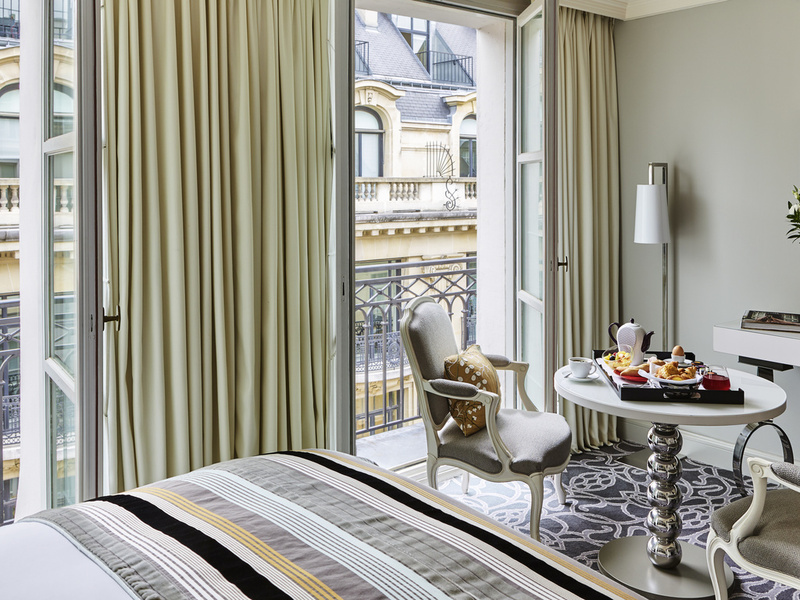 Stay in an exceptional hotel in the heart of the French capital. 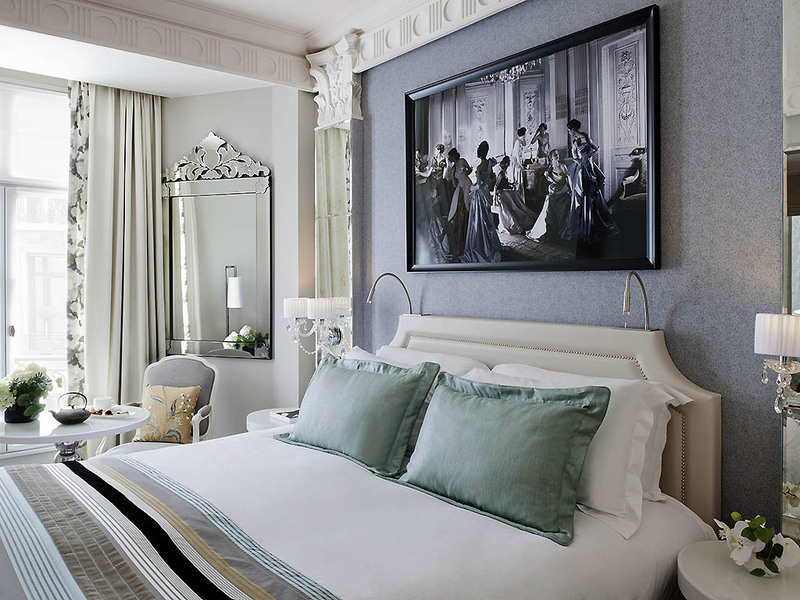 After a romantic stroll along the Seine or in the nearby Tuileries garden, retire to the elegant intimacy of your room and enjoy a meal created by a top Parisian chef. Allow yourself a moment of relaxation in our 24-hour wellbeing center: an "Experience" steam room with special lighting effects and massage jets, two hammams, for men or women, relaxing massages and treatments using Cinq Mondes products. With flawless service from a friendly team, free WIFI, a tourist information desk, and our Clefs d'Or concierges on hand, you'll have everything you need. We are family-friendly and can provide babysitting services. Pets are welcome. Experience fashion, luxury and culture in the heart of Paris, between the chic Faubourg Saint-Honoré and the legendary Champs-Elysées. Prestigious attractions nearby: La Place de la Concorde, the Grand Palais, Seine, Tuileries, Louvre and Musée d?Orsay. After a busy day, leave stress behind with the latest Technogym equipment in our fitness room. To start the day, choose our Fit&Go offer: a personal training session, massage and delicious breakfast.